NuLeaf Naturals is currently one of the top pioneering hemp companies in the United States. Their commitment to a high level of quality products and customer service is what is assisting NuLeaf with taking the top spot in the market. With all natural, lab tested and organic products, the knowledge of NuLeaf Naturals’ staff shines through. Plant medicine experts ensure that each product is made with care to provide cannabinoid-rich wellness products to the masses. Benefits span across body and mind. It was in 2014 that NuLeaf Naturals began their CBD product brand. In just a few short years, this company has made a name for themselves, creating some of the highest grade products on the market. Each product is lab tested to ensure its potency and quality. This information is made available to consumers who are researching their options. Utilizing hemp plants that are grown on licensed organic, sustainable farms in Colorado. All products are made using whole-plant extracts. No synthetic additives are included. Special engineering processes are used to get the full benefits of cannabinoids and terpenes. This includes CO2 extraction. Heat or solvents are avoided at all costs. NuLeaf Naturals only manufactures potent CBD oils at this point in time. Sold in a variety of different dosage options, their full spectrum CBD oil is 50 milligrams per milliliter of oil. One of the main selling points of this brand of oil is that no harsh solvents or chemical processes are used during the extraction process. Only a clean and safe product remains for consumption. Fractional extraction is also used in order to remove any volatile oils that might be temperature sensitive. This method of production leads to the creation of more potent blends of product. You want to find a product that contains a broad spectrum of cannabinoids, terpenes and phytochemicals. This is the brand to go with. When it comes to CBD products, you get what you pay for. If you immediately select the lowest priced product on the market, you could be consuming an unhealthy and unsafe product that isn’t worth your time. When it comes to pricing, NuLeaf Naturals CBD oil is pretty affordable considering how safe and pure of a product these are. A 240 milligram oil that is 50 milligrams per milliliter will cost you just under $40. As the size and potency go up, the price will go up as well. These prices are pretty comparable to other competitors of this caliber. A great selling point, all orders that are shipped within the United States are free of charge. The full-spectrum oil that is sold by NuLeaf Naturals contains a number of different cannabinoids including CBC, CBG, CBDA, and CBDV. None of these cannabinoids contain THC, and they are not psychoactive. NuLeaf Naturals is a brand that provides a completely organic hemp oil product that comes from whole plant extracts. It doesn’t contain any preservatives or chemical additives. 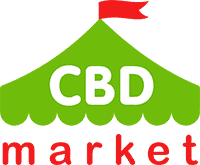 This is about as pure and safe as you can get within the CBD market. You can be confident with the product you are taking as a third party tests every batch to make sure that the proper information is listed on the product. This is a brand that absolutely lives up to its hype. It has proven to be effective for many consumers, there is a great customer service department that can help you with any questions that you have and it’s a very affordable product seeing as how it is completely organic and safe.